When will be Insane Pools: Deeper Dive next episode air date? Is Insane Pools: Deeper Dive renewed or cancelled? Where to countdown Insane Pools: Deeper Dive air dates? Is Insane Pools: Deeper Dive worth watching? "Insane Pools: Deeper Dive" is a series that airs Extended Enhanced Episodes with extra information and unseen footage from the show "Insane Pools: Off the Deep End" that also airs on Animal Planet. Never before seen footage and insider stories take you behind the scenes as Lucas and his crew are challenged to create a Mexican resort in a Venice, Florida residential backyard. Lucas encounters several design "firsts" on his journey. 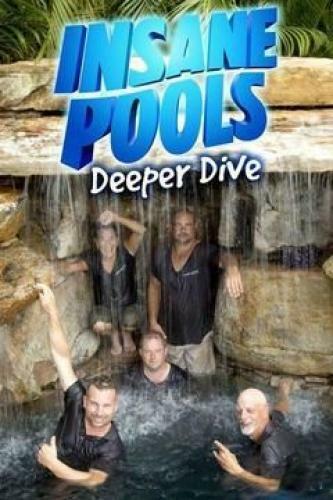 Insane Pools: Deeper Dive next episode air date provides TVMaze for you. EpisoDate.com is your TV show guide to Countdown Insane Pools: Deeper Dive Episode Air Dates and to stay in touch with Insane Pools: Deeper Dive next episode Air Date and your others favorite TV Shows. Add the shows you like to a "Watchlist" and let the site take it from there.